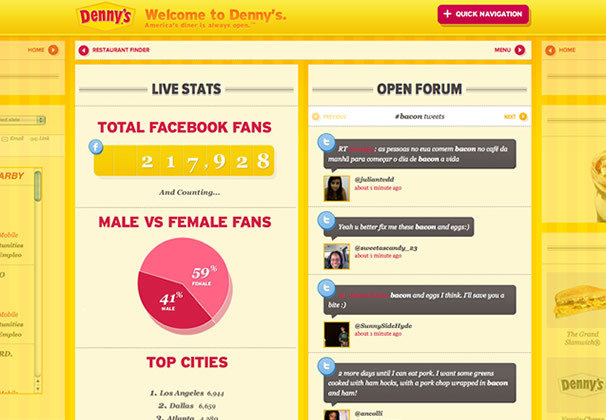 Denny’s recently launched a very impressive website. Not only does it leave all the designers here feeling warm and fuzzy about a strongly designed look and feel, but it also hits all the needs of their target market and is spreading the goods by pushing social media in a big way. The “quick navigation” option and page slider is also pushing the envelope for user interaction – a bold move for a big brand. We applaud it and think that it’s quite magnum.